Chlorhexidine gluconate oral antiseptic rinse is used for the treatment of gingivitis, a type of gum disease. Chlorhexidine inhibits the buildup and maturation of bacterial colonies, thereby preventing gingivitis and reducing the associated inflammation, swelling and bleeding of the gums. Chlorhexidine oral rinse side effects can range from mild symptoms such as headaches and dry mouth, to dangerous conditions such as upper respiratory tract infections. Chlorhexidine oral rinse has been reported to cause a change in taste perception, and an increase in tartar formation, dry mouth and shortness of breath. While most of the side affects associated with chlorhexidine oral rinse are mild, according to MayoClinic.com, chlorhexidine can cause serious side effects such as numbness, swelling of the salivary glands and mouth ulcers. According to Drugs.com, a clinical study with chlorohexidine gluconate oral rinse showed that 56 percent of users had a noticeable increase in the staining of oral surfaces such as the film on tooth surfaces, and 15 percent had developed what was judged to be a heavy stain. Additionally, it appeared that patients who had pronounced staining of the teeth also had a heavier accumulation of hardened dental plaque. Other studies have shown a direct correlation between the consumption of coffee and tea and the tooth-staining effects of chlorhexidine. 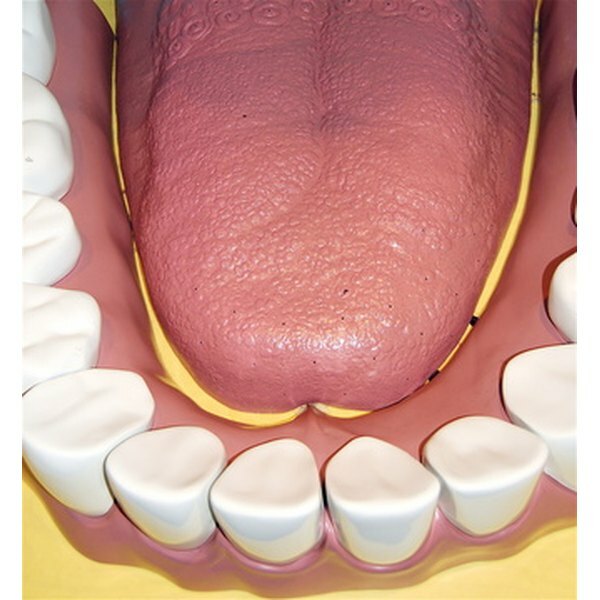 These stains are generally removed by professional cleaning at a dental office; however, a prolonged treatment period is required for patients with oral stains in rough surfaces or margins. Local hypersensivitiy and generalized allergic reactions have been reported with chlorhexidine use. Allergic reactions such as inflammation of the skin, shortness of breath, loss of consciousness and lowered blood pressure have been reported. According to RxList.com, a patch test examining the cases of hypersensitivity to chlorhexidine showed that 2 percent of patients had a positive reaction, and that eczema patients had positive reactions as high as 5 percent.